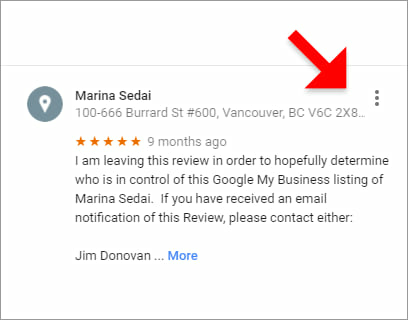 Important Note: Google Reviews can only be edited or deleted by the user who posted the review in the first place, or by Google itself. 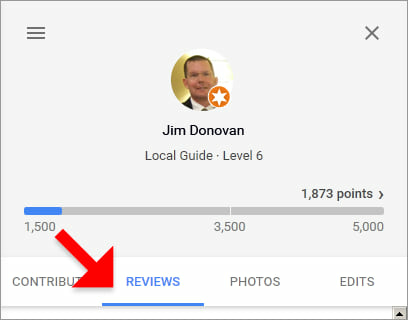 Click here for advice on how to get Google to remove a review written by someone else. Step 1 > Make sure you are signed in to your Google account. 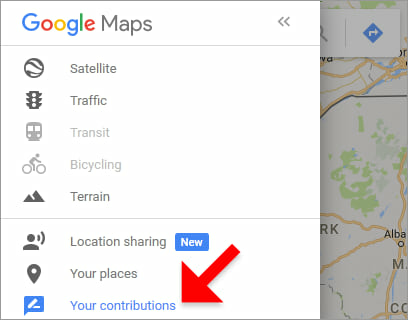 Step 2 > Go to https://maps.google.com. 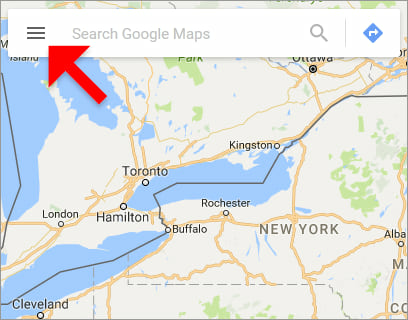 Step 3 > Click on the three dash menu icon at the left of the Search Google Maps box. Step 4 > Click on Your Contributions. Step 5 > Click on REVIEWS. Step 6 > Locate the review that you want to Edit or Delete and click on More icon. 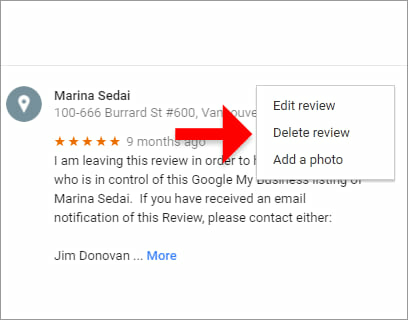 Step 7 > This will give you the option of Editing or Deleting the Review (or adding a Photo).